Have you found a vehicle on our website that you like? Need to schedule an appointment to get your vehicle serviced? 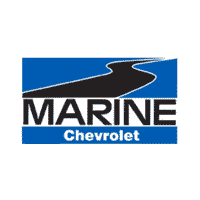 Call our Guest Services Center at Marine Chevrolet Cadillac. Marine Chevrolet Cadillac’s Guest Services department consists of 8 wonderful ladies who dedicate their day to taking care of all of our guest’s needs over the phone. They answer incoming phone calls regarding vehicle information, maintenance details, and scheduling appointments. Guest Services also makes outgoing phone calls to notify owners of current recalls, special offers, oil change needs, and just to make sure that YOU are completely satisfied with the service you received at our dealership. It may be hard to believe that it takes 8 people to handle incoming and outbound phone calls, but the Guest Services Department is actually broken into two mini groups. The division amongst the Guest Services department is to help create specialized service for all of our guests. The Sales team takes pride in having all the knowledge of the vehicles for sale on our lot so they can assist any callers that are interested in purchasing a new or pre owned vehicle. If there are any questions that they don’t know the answers to, they are quick to find out. The Service team strives to keep anyone who has purchased their vehicle from Marine Chevy or had their vehicle serviced in our Service department, up-to-date on all of their routine maintenance needs. Sometimes unforeseen circumstances arise; whether it’s a flat tire, dead battery, or some other issue that you don’t even understand…the Service team will be sure to get you set up and scheduled to make your experience hassle free. Although they embrace a competitive spirit, the Guest Services department as a whole is extremely family oriented. They watch out and take care of one another all while having fun! Together, they work as a team to do the right thing and WOW our guests.